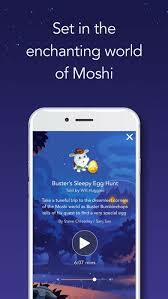 Moshi Twilight Sleep App now out!!! I had the pleasure of narrating this very sweet, calming, sleep app for Mind Candy. Luckily I didn't have my slippers and a pillow in the sound booth with me, otherwise I would've been sent off sleep myself. Set in the enchanting World of Moshi, Moshi Twilight Sleep Stories are perfect for settling little monsters at bedtime. Get your kids comfy, turn down the lights, play a Sleep Story and leave them to drift off to sleep. Made for kids but loved by parents , Sleep Stories are a revolutionary new form of bedtime story.